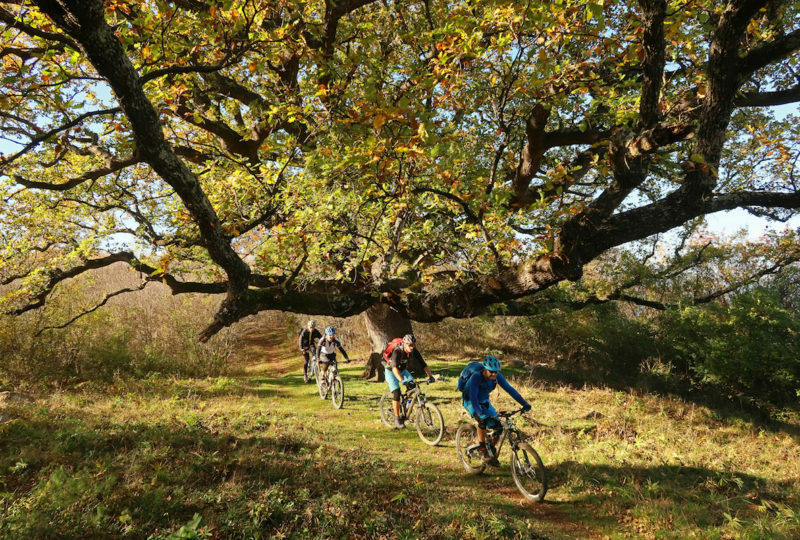 The programme is intended for all enthusiastic wildlife observers, photographers and bikers who would like to experience the magic of unspoilt nature and the power and appeal of the Kočevje forests and their inhabitants first hand, by biking and camping in nature. Although the programme is more than just about observing animals, since it requires the participants to cycle almost 100 km in total, it allows enough time for activities where one can learn many interesting facts that will place the beasts and other wildlife in a wider context, all with the help of experienced guides and hunters, and by watching bears from a hunting observatory adapted for photo observation. More than half of Slovenia is covered in forests that provide a living environment to many animal species. Only a few European countries can boast the fact that three large beasts live in their territories, namely the brown bear, grey wolf and lynx. Lynx’s superior hunting skills, which should secure his survival, have ironically led it to the verge of extinction in most of the western and central Europe. However, a living lynx is extremely valuable for maintaining the balance in forest ecosystems, especially if it rules the wilderness together with the wolf and the bear. The beech and fir trees of the Dinaric area, which also belong to the extensive Kočevje forests, provide these animals with sufficient food and room for survival. 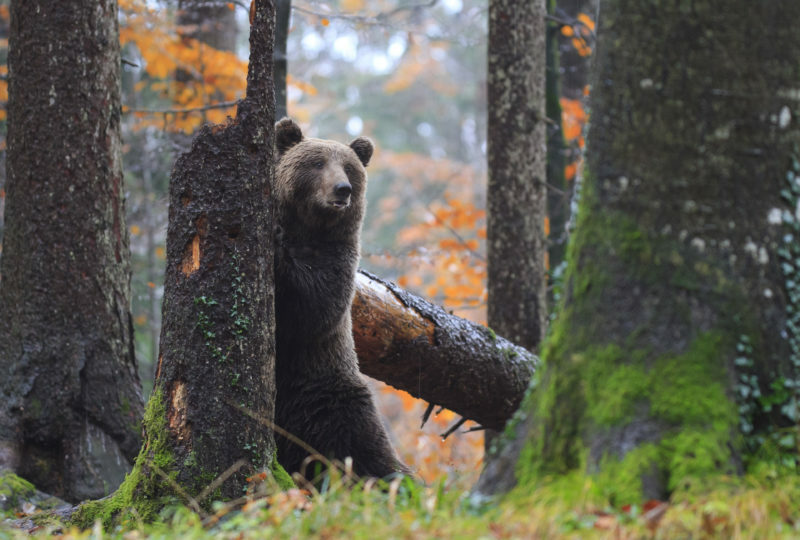 Slovenia boasts 400–500 brown bears, which ranks it among countries with the highest bear population in the world. Most of these bears are found in the Kočevsko forests. 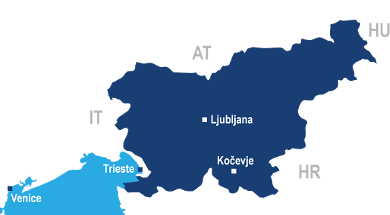 In Kočevje, the level of forestation is even higher than in the rest of Slovenia, as more than 80% of its surface is covered in forest. There, one can find many remains of virgin forest, where nothing but nature has ruled for millennia without any human interventions. 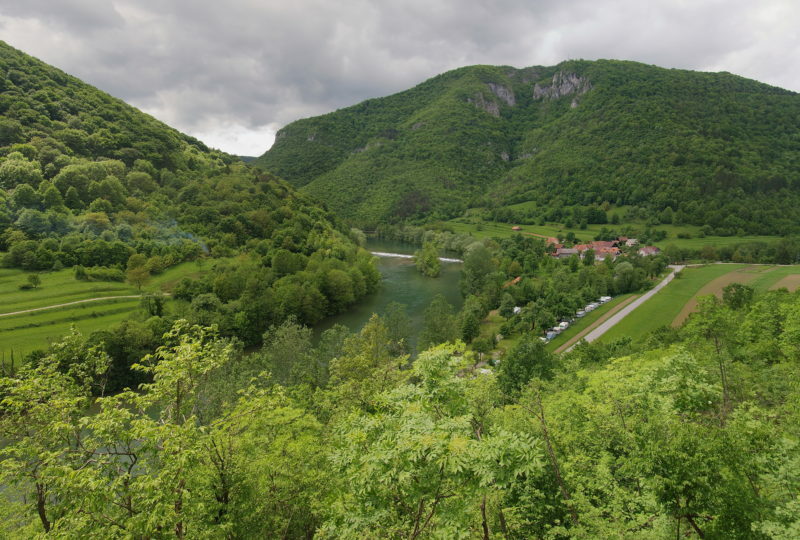 Kočevsko actively preserves this valuable heritage, especially by establishing forest reserves, which permanently protect the virgin forest remains, i.e. the examples of rare tree-related structures and habitats found in deep karst hollows, sinkholes and caves, and along walls or karst streams. The reserves serve as a type of ecological cells for animal species that need old-growth forests for their existence. Responsible and sustainable forest management became a tradition in the area, since as early as 1892, the then owners began to exclude the Rajhenavski Rog forest from any kind of economic use. Therefore, it is no coincidence that Kočevsko is also the cradle of responsible coexistence of humans and wild animals, in particular beasts, and that this area is one of the few in Europe, where the following three large beasts can still be found in the natural environment: the brown bear, the grey wolf and lynx. A sustainable approach, even in tourism development, has minimal impact on the environment, especially on the wilderness. Too much human contact with wild animals can cause many adverse consequences for wildlife, which is why it is even more important to provide controlled and properly guided watching of these animals. With the help of experienced guides, your animal watching will be friendly to nature and its inhabitants, while at the same time you will learn many interesting facts and gain information that will place beasts and other wildlife in a wider context. The bike trail through the Kočevje forests is a relative novelty that provides, within a three-day time frame, an insight into the landscape diversity, an excellent and not too demanding biking on gravel road and low-traffic asphalted roads (more than half), as well as the opportunity to spot bears and visit the natural and other sights. Camping in nature and the food give the adventure a special charm of meeting the locals and experiencing their hospitality. 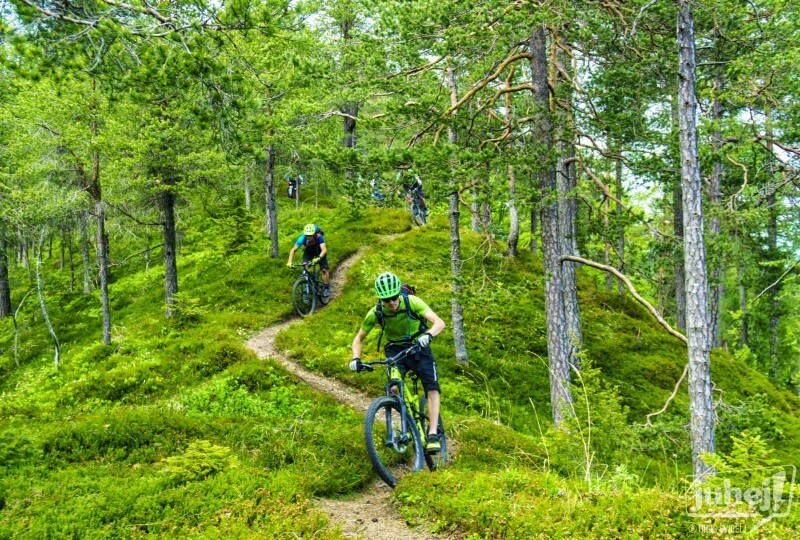 The biking route is mostly fixed, while the accommodation and other activities are adapted to specific group, season and weather. 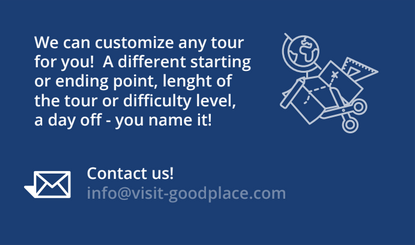 In season, any tour can be organised on any date for a minimum of 2 people. Please contact us for any inquiries. In guided tours, food for the trip is included in the price and provided by the guide, while groups without a guide are expected to supply food by themselves. Running along a well-maintained gravel road with some undemanding ascents and beautiful downhill runs, the trail at first leads mostly through the forest and later descends to the Reško-Goteniška dolina valley, passes through the karst landscape full of typical sinkholes, and finally reaches the destination of the day, that of Kočevska Reka. In the early morning or late in the evening, with some luck and by keeping sufficiently silent while travelling, one can spot a bear. Kočevska Reka, which is the central village in the valley, was first inhabited 3000 years ago. In the 14th century, it was settled by farmers from Germany and Tyrol, who due to unfavourable economic conditions, started to leave the area at the end of the 19th century, and had completely left sometime before and after the World War II. In decades following the war, Kočevska Reka was part of an enclosed area, therefore the landscape in its surroundings remained well preserved and the nature intact. Today, it is famous for the thickest walnut tree in Slovenia with a circumference of 434 cm and an artificial lake found below the village, which was declared a forest reserve as an important natural habitat, along with the surrounding forest that is also home one of the few surviving specimens of the white-tailed eagle. According to the latest information available for Slovenia, only about five pairs of this rare species still live in the country. 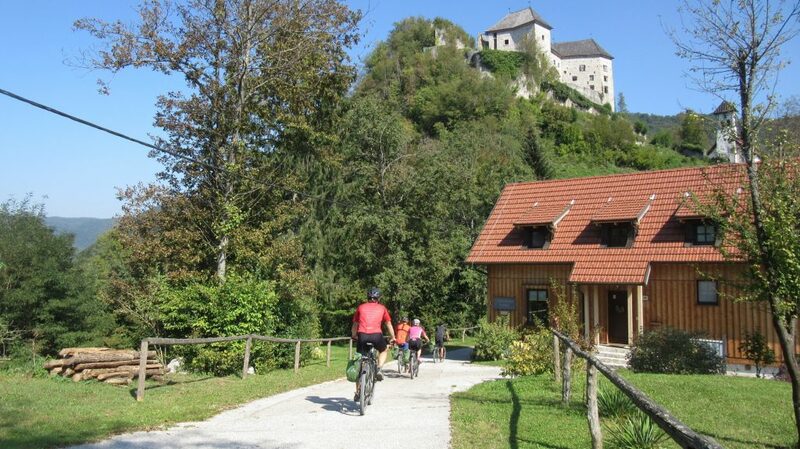 During stops on the way, one can visit the forest learning path at Rožni studenec, stop at Koče, where visitors can find a few renovated houses built in the original local style (one of them is the birthplace of Peter Kozler, a patriot and author of the first Slovenian map, who was also a co-founder of the Kozler brewery, a predecessor to one of the largest Slovenian breweries – today’s Pivovarna Union), as well as Ranch Marina where one can change the bike for a horse. In Kočevska Reka, participants can see the lake of Reško jezero featuring the Orlova pot path, take a walk through the Borovška pot footpath, visit the bear room or catch a fish or two from the lake. You can end the day by watching animals from observatories at the Orlova pot path or by visiting those designed specifically for watching bears (surcharge will apply). 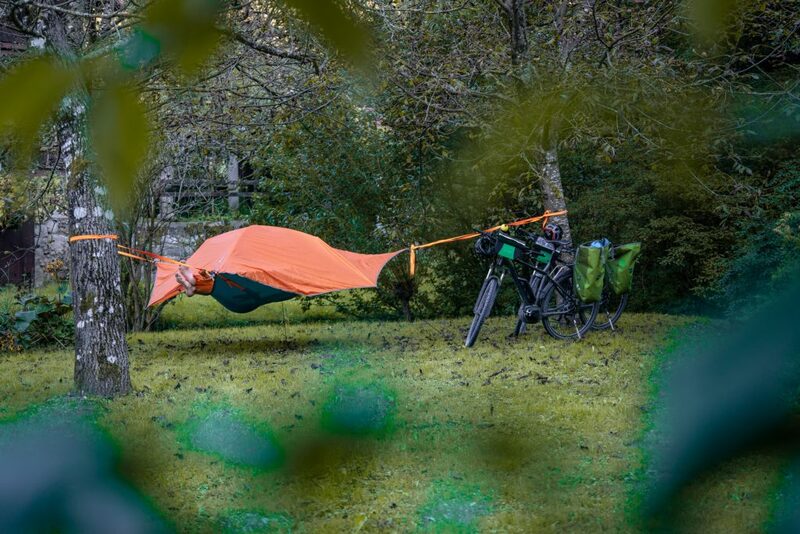 Before going to bed, the group will set up tents at a specific location and make dinner with the guide’s assistance, or by themselves, if the tour is not guided. 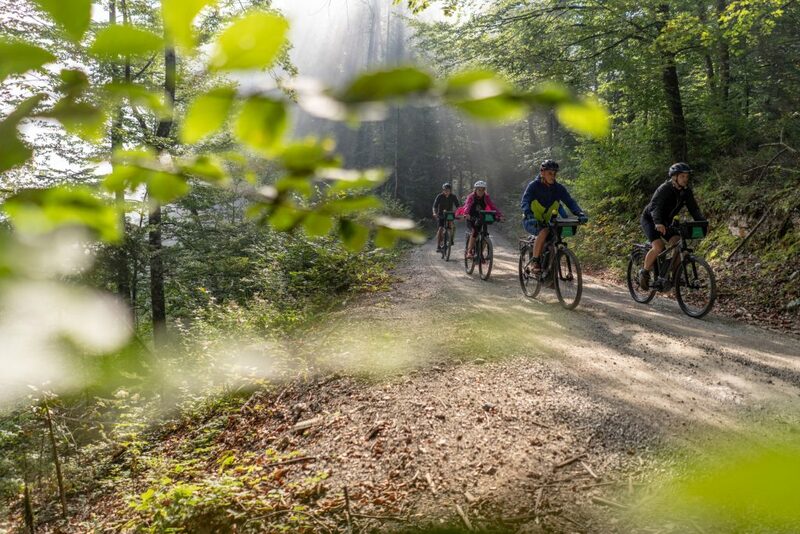 On the second day of biking, the trail leads along a beautiful scenic road to the nearby old-forest reserve named Krokar, which extends over the slopes of Borovška gora above river Kolpa and is the largest of the six virgin forest remains in Slovenia. The area is included in the UNESCO list of natural heritage, as it features important remains of beech forest structures that survived the Ice Age and afterwards started to spread towards Central Europe and the Carpathians. 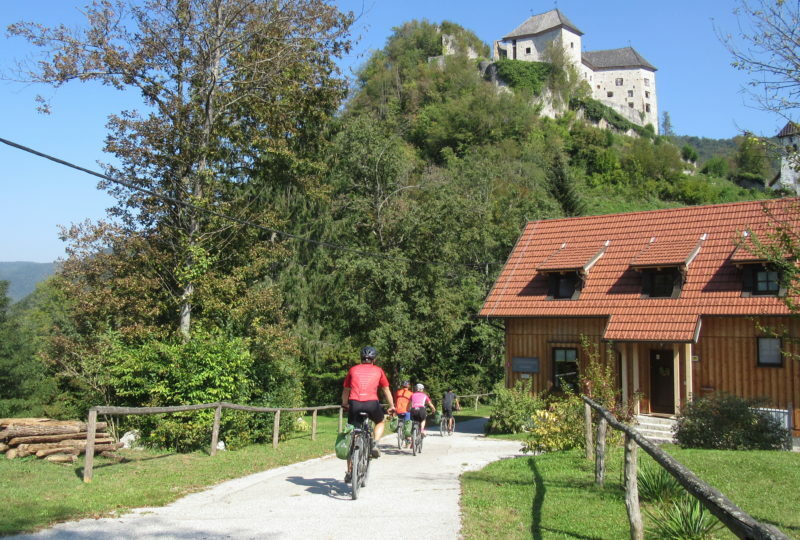 A 30-minute walk gets you there from the village of Borovec, where the biking path starts to descend to the Kolpa valley. As soon as the group reaches the valley, an optional climb awaits (caution, big slope!) up to the top of the hill, which features the once majestic Kostel Castle that offers excellent scenic views over the Kostel valley. The path to the destination of the day, the village of Laze then leads along the Kolpa river, which offers countless possibilities for stopping by and resting at the water, or perhaps try to do some swimming in the season. Here, the group can observe some old, relatively well preserved mills, and there are some opportunities to enjoy refreshments on the way. 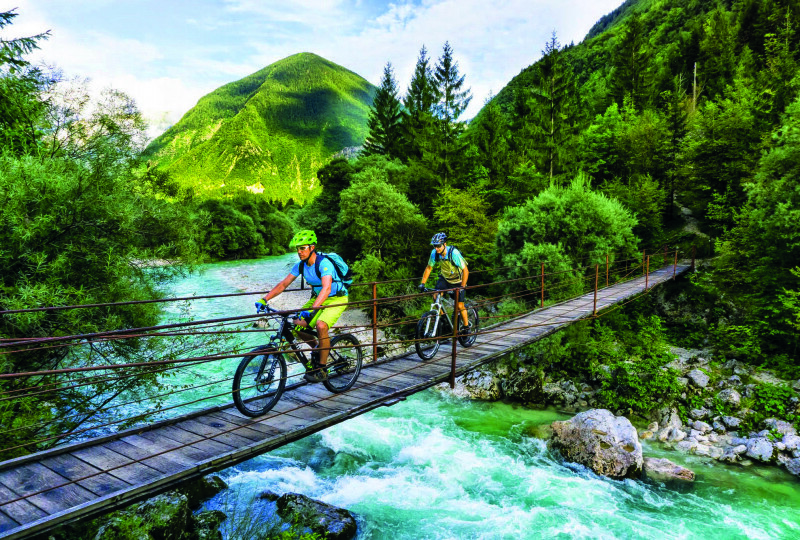 The food and drinks are also available at the final destination, namely the Domačija pri Skendru homestead, where participants can enjoy fishing or a canoe or kayak ride on the river, or test themselves in archery. Here, tents are set up and dinner is cooked again. The last day is all about biking. From the Kolpa valley, the path leads to the mighty forests of the Kočevski Rog, which will remain our companion all the way to the final destination. 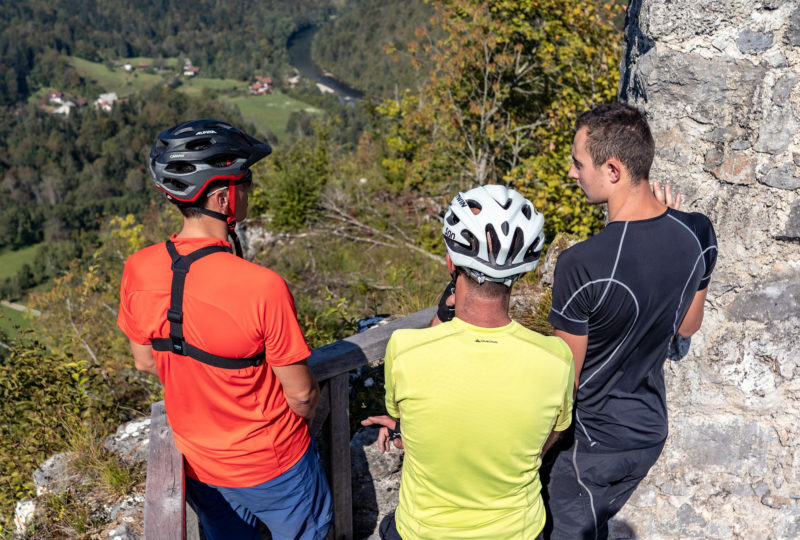 After the first ascent, a beautiful view over the Kolpa valley opens up, while in Predgrad the participants can see the old pillar of shame (pranger), and at Knežja Lipa they can take the archaeological path called Po neznani spahi. Other extremely exciting roadside opportunities are available to extend the biking for the day. The Queen of Rog near the former Rog sawmill is the second highest fir tree in Slovenia, with a radius of as many as six meters and a height of over 45 m. Rajhenavski Rog is one of the famous virgin forest remains in Slovenia, and more importantly, one of the earliest habitats subject to forest preservation. As earls as 1892, the then owners began to exclude it from any kind of economic use. The adventure ends in Kočevje. Rates for the pre-scheduled dates are based on group planning (4 max). Rates are per person, for the pre-scheduled dates based on group planning (4 max). The “Bear Trail BikePacking” programme starts and ends at the town of Kočevje, which is located in the southern part of Slovenia.